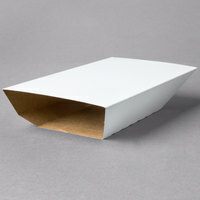 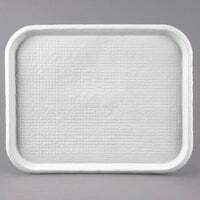 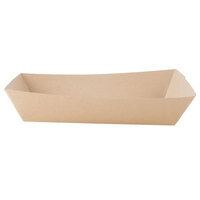 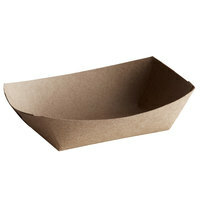 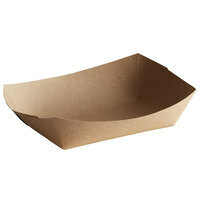 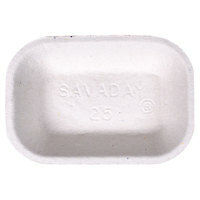 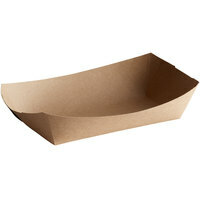 Green, biodegradable food trays are available in a variety of lengths, materials, and price points. 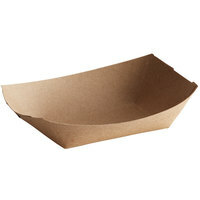 Choose from materials such as sugarcane, paper, and recycled fibers, which are more sustainable and recyclable than traditional Styrofoam or plastic. 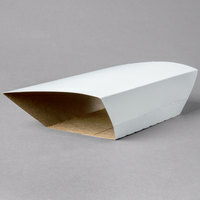 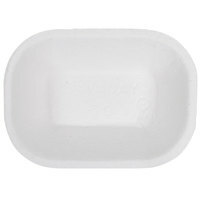 Many of these biodegradable lunch trays are certified compostable in commercial facilities, making them the perfect product for an environmentally-conscious business owner. These food trays perform just as well as traditional disposable lunch trays, with the strength to carry a full meal and the absorbency to collect excess oil from fried foods. 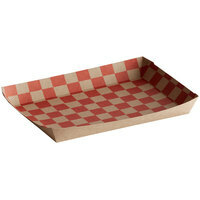 Choose from environmentally-friendly food trays in a variety of lengths and materials to fit your business’s and your customers’ needs. We also offer compostable food tray sleeves to help keep your French fries, tater tots, and chicken fingers hot, while preventing spills to make transport easy. 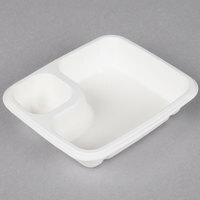 Green, biodegradable food trays are disposable, eco-friendly alternatives to traditional foam trays at your convenience store, concession stand, buffet, or cafeteria. 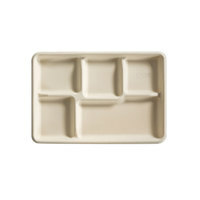 For reusable tray options, check out our cafeteria and fast food trays, as well as compartmented trays with dividers to keep food separated. 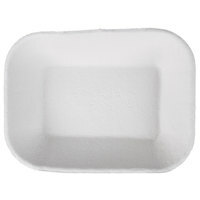 If you're wondering where to buy biodegradable, compostable food trays, we have a large selection of biodegradable, compostable food trays for sale at the lowest prices.